I do not expect it to be a smooth ride – not at all. If anything, I imagine that it would have all the ugly features of the biblical story of Umu Israel (Israelites) leaving Egypt for their land of promise. My guess is that just like what happened to Umu Israel (Israelites), not all who started the journey would inhabit Canaan. What consoles me nonetheless is the assurance that “THE EGYPTIANS WE SEE TODAY, WE SHALL SEE NO MORE”. And one might be tempted to ask: what guarantees do I have that indeed the journey under reference will terminate in rejoicing and thanksgiving. My answer is simple: God’s word is inviolable and never returns to Him void. But really how did Umu Abia (Abia indigenes) find themselves in Egypt? Truth is that I do not know whether it’s in our stars or a harsh recompense from God for the sins of our fore-fathers or a direct consequence of our conscious choices or a combination of some or all of the above that a Machiavellian Orji Uzor Kalu found himself in the temple and superintended it for 8 years. Perhaps for same reason, a minion like T.A Orji also found the same sacred mantle being thrust upon him subsequently. Today, there is an Okezie Ikpeazu who is struggling in the chains of father-and-son who foisted him on Abians. Tragically, having deliberately pauperized Abians, they have dispensed our commonwealth to a few of their political slaves who in turn have reportedly placed quite a number of youths on monthly stipends; it is these unfortunate boys on their pay-roll that are now ready to lay down their lives for the paymasters. In their enlightened self-interest, they vigorously seek sustenance of the status quo. No matter the cost, they labour to perpetuate this government of scavengers, so that the feast may continue – without realizing that the monthly alert they receive is in fact WAGES FOR SLAVERY and, for sure, less than one percent of what they truly deserve as free-borns. Just watch, if they find the courage to comment on this piece, they would either do name-calling or hurl insults; they can never defend any of the points made herein. May the good Lord open the eyes of our kith-and-kin in Jesus’ name! But the tears of the vast majority of short-changed, abused and traumatized Abians have risen to Heaven and received God’s attention. Like everything under the sun, whatever that has a beginning must have an end. The end of Abia’s long sojourn in the land of captivity will begin on FRIDAY, JULY 20, 2018 and terminate on MAY 29, 2019. 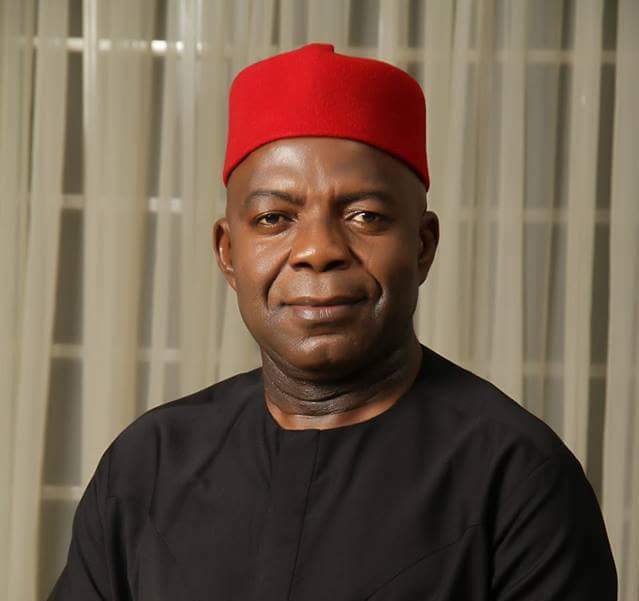 Please join the GREAT ABIA EXODUS as DR. Alex Otti, OFR formally declares for Abia State governorship race on Friday, July 20, 2018 in Abia. Dr. Otti, like Moses in the Bible, is not without flaws; but he sure represents the exact opposite of what we have had since 1999. The choice is now ours to make. IF NA CURSE, PLEASE LET’S JOIN HANDS TO BREAK IT!